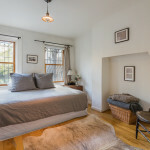 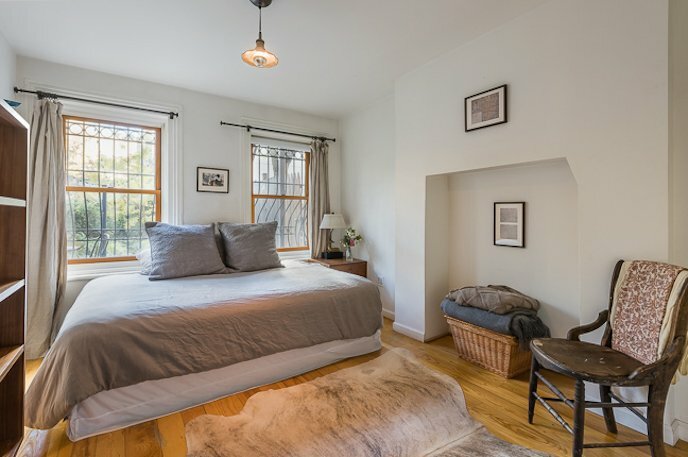 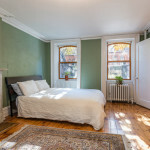 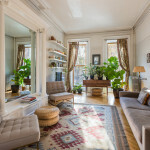 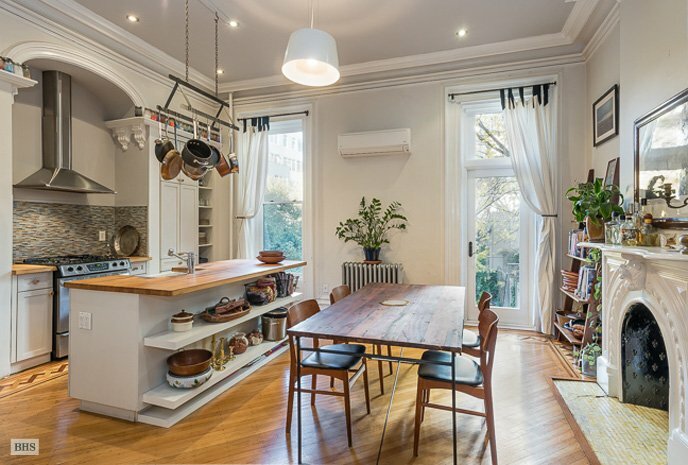 Located on one of the neighborhood’s many landmarked, lovely and leafy streets, this garden/parlor flat comes with details like floor-to-ceiling windows and diagonal inlaid floors as well as modern comforts like what appears to be split-system zoned air conditioning. 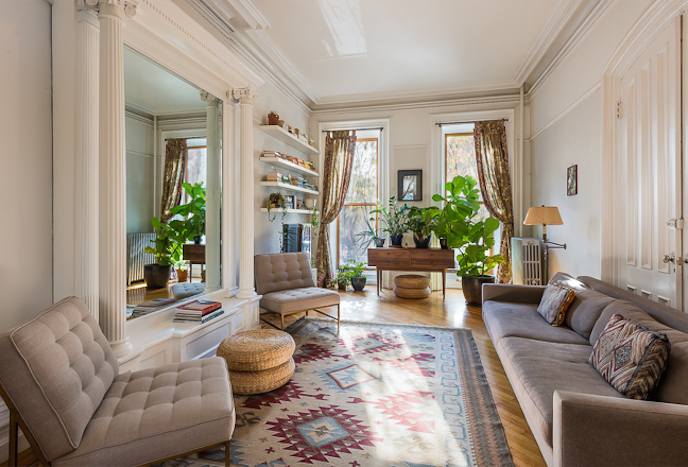 On the parlor floor, the living room boasts a pair of massive paneled entry doors and an original pier mirror. 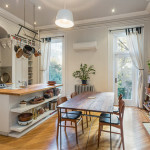 The eat-in chef’s kitchen has plenty of cabinets, a solid wood-topped island, a dishwasher and a vented range; a spacious adjacent seating area does perfect double duty for formal dining or casual gathering. 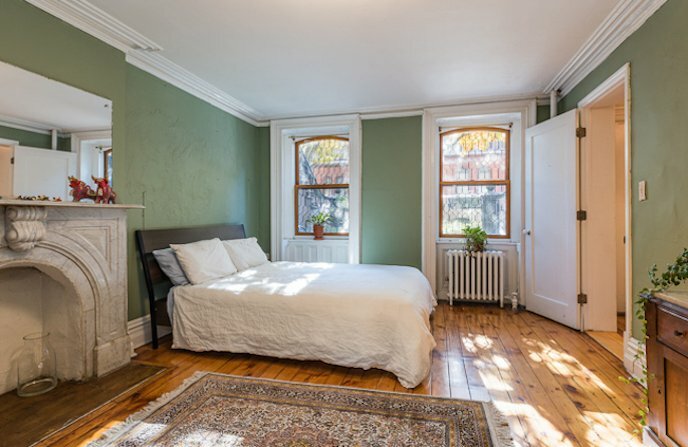 On the quiet and sun-dappled garden level you’ll find the apartment’s three bedrooms, all with wide-plank floors, original window and ceiling moldings and at least one marble decorative fireplace. 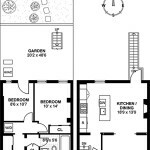 There’s also a private washer/dryer and plenty of closets throughout with even more storage available in the basement. 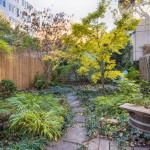 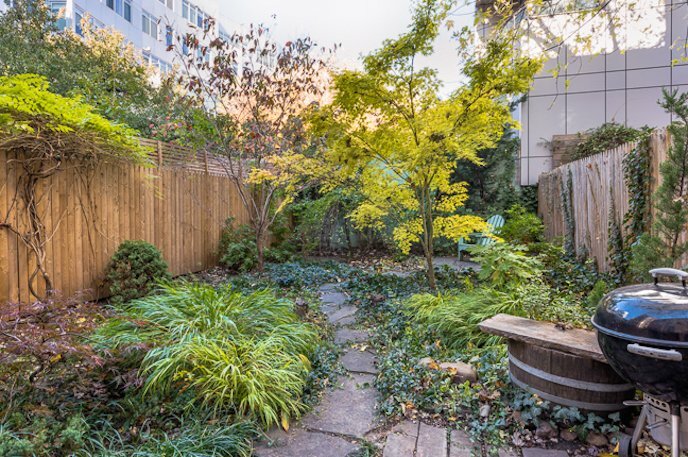 One of the best things about a Brooklyn townhouse is the backyard possibilities, and this one definitely delivers, with a landscaped private yard perfect for grilling and dining or digging and growing (or both). 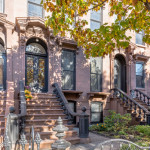 The prime Fort Greene neighborhood–besides looking heavenly in every direction–gives you Fort Greene Park and its farmers’ market, BAM, the outdoor Brooklyn Flea and dozens of cafes, boutiques and restaurants just steps away; you’re also not far from all the exciting new developments at the Brooklyn Navy Yard.